1 – How long have you been writing and what gave you the courage to venture into publishing? 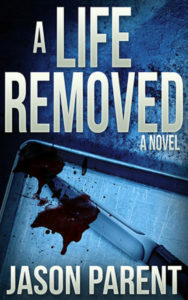 2 – A Life removed has been classed as a dark crime/thriller/horror novel. Does this mean its not for the faint hearted? Definitely not for the faint hearted. This novel is very dark and contains some themes—like suicide, violent murder, mental instability, some others—that may be triggers for certain people. I wouldn’t say I handle these topics delicately, but true to the character or characters involved in the scene, not gratuitous for the sake of being gratuitous but not shying away from the grotesque either. 3 – This is your second novel I believe, how long did this take to write? I have to admit I’ve not read your first, but would you say these stories are linked or are they separate tales? This is my second novel from Red Adept Publishing, so my second crime thriller, the first being Seeing Evil. I also have a horror/mystery/dark comedy, What Hides Within, and a sci-fi thriller, People of the Sun, from other publishers. Excepting the sci-fi thriller, the other three books are stand-alone tales, but all take place in and around Fall River, Massachusetts and the cases of its police force. The supporting character detective in What Hides Within is a leading character in Seeing Evil, and the detectives in A Life Removed work at the same precinct, albeit a decade prior. If one were to cross check the two novels for names, you might find one or two repeats for random officers. 4 – So big question – You a Plotter, Pantster or a bit of both? I start out as a plotter, outlining scenes three or four chapters in advance. But once I sit down and start writing, I instantly become a pantster. The outline I have just becomes a sort of security blanket. 5. Growing up who were your go to authors? Who inspired you to follow the much travelled road to writing novels? King, Tolkien, Poe, cheesy fantasy and sci-fi paperbacks – loved them then, still love them now. I definitely draw from certain authors, but I was probably more inspired by John Carpenter and Wes Craven. 6 – How are you with deadlines? – are they a curse or do you need them to complete your work, whether self imposed or by someone else. Deadlines are a cause of serious stress because I procrastinate. But they are a double-edged sword because I work best under pressure, when something absolutely has to get done. I gain the focus I would otherwise lack without the deadline. 7 – Where do you get your inspiration? Other than other books and movies, everyday life, the evening news, bizarre facebook memes, and a whole lot of dreams. 8 – Say the worst happened, what skills would you bring to the Zombie Apocalypse? 9 – What advice would you give to someone looking to venture into the world of publishing? Don’t just jump in. Good info is out there. Do your research and avoid the many, many, many, many, many (did I say “many”) pitfalls. Don’t fret. What’s the worst that could happen? You could be sued for defamation, stalked by Kathy Bates (and now I’m going to be sued for defamation), have your work ripped off and done better by someone else, lose an appendage in a lawn mower accident while your daydreaming about the fame that could have been yours, and die alone with nothing but the tear-stricken pages of your next great American novel that never was to keep you company? Nah, that probably wouldn’t happen… probably. 10 – How many edits of A Life Removed did you do before it was ready for publication and did you have any help? I am not exaggerating when I say at least 16 full rounds of edits from me alone, a professional edit, and then several rounds of professional editing from the publisher. Now, I know people say to edit, edit, edit, but that was a bit extreme. Keep in mind though, this was my first work, and I learn by doing. I’ve learned a lot since 2004, and this work, if I wanted it right, needed every round. 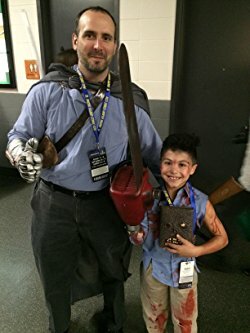 In his head, Jason Parent lives in many places, but in the real world, he calls New England his home. The region offers an abundance of settings for his writing and many wonderful places in which to write them. He currently resides in Southeastern Massachusetts with his cuddly corgi named Calypso. In a prior life, Jason spent most of his time in front of a judge . . . as a civil litigator. When he finally tired of Latin phrases no one knew how to pronounce and explaining to people that real lawsuits are not started, tried and finalized within the 60-minute timeframe they see on TV (it’s harassing the witness; no one throws vicious woodland creatures at them), he traded in his cheap suits for flip flops and designer stubble. The flops got repossessed the next day, and he’s back in the legal field . . . sorta. But that’s another story. You can find Jason on Facebook, or you can stalk him on Twitter @AuthorJasParent. Visit him at his Website authorjasonparent.com for information regarding upcoming events or releases, or if you have any questions or comments for him.